END UNIT! TONS OF NATURAL LITE! THE BEST UNIT on MARKET @GATED Seaside Estates @the Top of Tampa Bay overlooking Safety Harbor is sure to get capture your attention. INCLUDES deeded dock/boat slip! Impeccable interior features GORGEOUS engineered hardwood THRU-OUT the entire unit (minus the tiled baths and kitchen). Custom motorized shade in Living room allows unobstructed Water & Mangrove views! Plantation shutters & crown moulding create the finishing touch. 2 Balconies overlook amazing sunrise over the glistening bay to start the day. The kitchen is complete w/barely used stainless appliance package, & the perfect breakfast bar. Level 2 has a 3rd bedroom currently used for home office. The master ensuite is the crowning jewel on the 3rd level with a private balcony for late star gazing. Master bath is huuuge and there are also dual walk in closets. 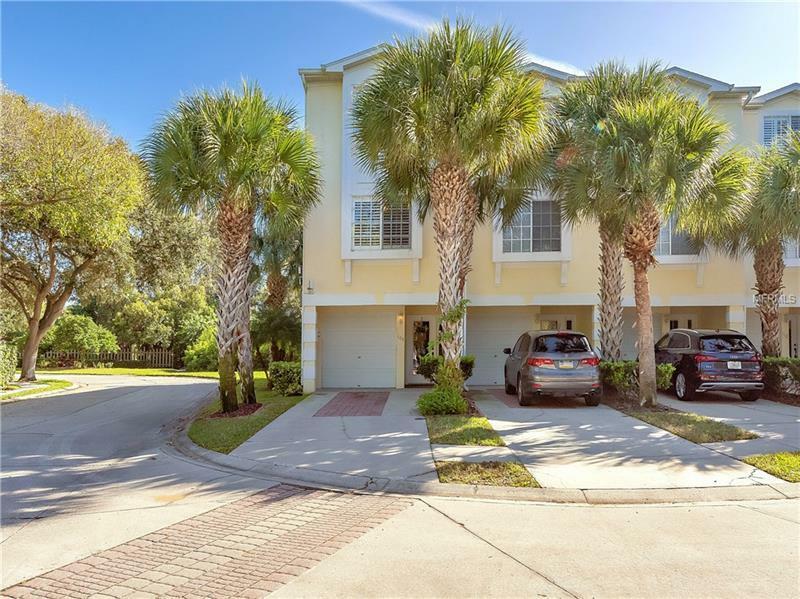 Super convenient laundry on the 3rd floor w/the master bedroom.How about a stroll down the expansive community boardwalk to view manatees, dolphins and more. You have your own dock to tie up a jet ski or 2 for weekend fun in the sun! Kayaking or Paddle Boarding is a breeze just steps from your tandem garage. No having to schlep them on the car. JUST steps to the community pool from your front door along with a tennis court, playground and dog walk. Community VERY dog friendly! Minutes to Downtown Safety Harbor, & Oldsmar Dining/Shopping. Walk/Bike to Oldsmar's waterfront park. Fireworks from your balconies! NEW ROOF & Skylite 2017! This is the one! !